Here at 2 hearts we can offer fully licensed mobile bar, which can be run a way to suit your needs. 1. Bar with drinks paid for by your guests. 2. Bar supply only, you supply your own drinks. 3. venue has a bar, we just supply drinks and run the bar. 4. 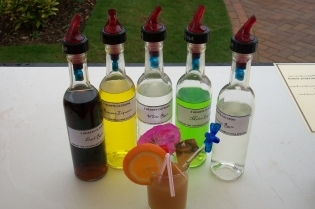 Bar packages for wedding guests. We take all the hassle out of sorting out the drinks side of your event / party / wedding, we deal with the license, bar set up and cooling drinks. We have a couple of set up available for a small fee, either a bottled bar or draft, both of which you can receive your set fee back, if the bar takes a set amount of money. Included in our set up fee is the fee for the license and any bar staff which are required. All our drink prices are set at pub prices, so you and your guests are getting fair priced drinks and are not paying over the top. We offer a large selection or branded drinks on our mobile bars, along with Larger, ciders and bitter, wines (white / red & rose). You can also request at an extra cost sparkling wine, Cava, Champagne and Processco. 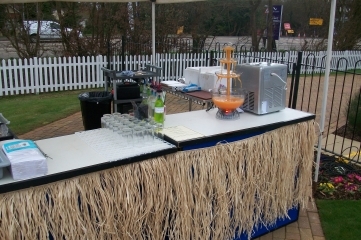 Please take a look at our special offer page for winter offer of a Hog Roast & Mobile Bar Combo.